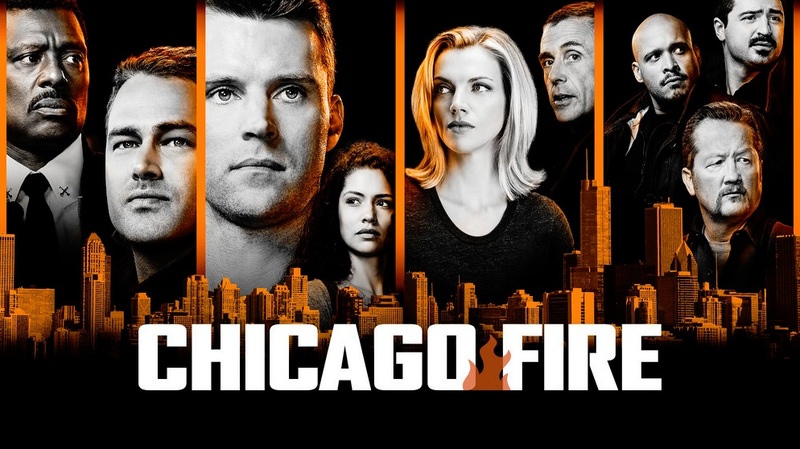 Chicago Fire season 7 episode 19 carries with it the title of “Until the Weather Breaks,” and it also carries with it a return date of Wednesday, April 24. If you hadn’t heard just yet, that’s the less-than-fortunate news to report on at the moment. When the show is back, there’s also some less-than-fortunate news coming up for the character of Stella Kidd. We don’t know how else you can possibly describe the situation that she’s in at gunpoint, seemingly due to something that is out of her control. The crisis within this episode is an unusual one — it actually doesn’t have to do with some sort of emergency happening elsewhere. Instead, it has a thing or two to do more with something that’s happening within the walls of the firehouse itself. A young kid shows up and decides to start hiding out in the firehouse, and it’s not entirely clear why beyond just some signs of obvious trauma. This is a safe haven, and in that sense, it’s an understandable hideout — the members of Firehouse 51 are family and care about each other dearly. They aren’t going to let anything bad happen to this kid. Of course, none of this actually serves to answer the question as to why the kid is there … or why there’s a gun pointed at Stella Kidd at the end of the promo. We do wonder if this is tied in some way to her rescuing some of those children earlier this season from an abusive situation — and also what she did to get the man responsible for hiding those kids arrested. It seems like she may be targeted specifically, judging from the fact that she isn’t aware in the promo that the gun is being pointed at her and nobody else. This is a situation she’ll have to sweat out herself, but we certainly know that she’s going to have plenty of people in her corner ready to hand out support. Just think in terms of what Kelly Severide did for her in that position with the abused kids — Severide’s coming around with her in general. We’d love to say that this is the episode where Kelly and Stella are closer to making something happen again for the two of them, but we have to wait and see how it plays out. Beyond this particular crisis, be prepared to see more firehouse fun scattered elsewhere and for the writers to build to another emotional-roller-coaster. Then be sure to visit the link here for more news, scoop, and all sorts of other insight on this show.